After Mobile Nations Fitness Month What Comes Next? Well, we made it through Mobile Nations Fitness Month in February; it is time to get back to that couch with a tub of ice cream, right? Well -- not so much, no. Just because the official Fitness Month has come to an end that doesn't mean that it is time to ditch the new habits and revert to the old ones. If you were anything like me and had a successful month of February, odds are that you want to continue the positive momentum. The reality, however, is that you may need a little bit of help to keep you going. Don't worry, I am right there with you. While 20 pounds may be a good amount to have lost, there is still quite a bit left to go -- so the journey continues. Did you know there are a bunch of great BlackBerry applications and accessories that are available that can help you along with your journey? While we did cover a good deal of information during February, there is still a ton more to go. 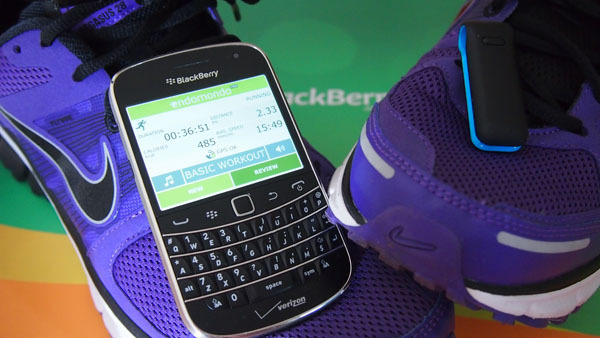 With the official Fitness Month behind us, I realize that many of the CrackBerry faithful are looking for more motivation. How about instead of being fit for just one month we go for the whole year -- let's make 2012 a year of fitness. What do you think? Will you join me for the rest of 2012 and beyond as we continue to get healthier, shed the pounds and make our lives that much better? My motivation you ask? Well, I don't want to be that dad who can't keep up with his five year old, nor do I want to be a fatty in my wedding pictures that will be taking place in June. What is your motivation? Hit the forums and let us know how you plan to make 2012 the Year of Fitness.